There is much interest in wheat sensitivity in people without celiac disease, many of these patients have been labeled with nonceliac wheat sensitivity. Little is known about any risks associated with nonceliac wheat sensitivity. A recent study published in the journal of Gastroenterology evaluated autoimmune diseases in patients with nonceliac wheat sensitivity and investigated whether they carry the autoimmune antibody (ANA). The study looked at patients who were given the diagnosis of nonceliac wheat sensitivity, celiac disease and control subjects. The ANA (autoimmune antibody) was measured in 3 groups. The authors concluded from the study that significantly higher proportions of patients with nonceliac wheat sensitivity or celiac disease have autoimmune disorders with positive ANA’s. This data provides physicians with an awareness that patients with nonceliac wheat sensitivity might have an increased risk of autoimmune diseases. Nonceliac wheat sensitivity remains a not well defined clinical condition. In fact there are some doubts about whether it is a real diagnosis. This study showed a higher frequency of autoimmune diseases, in particular thyroiditis, psoriasis and type 1 diabetes mellitus were reported. Allergists see many patients who are concerned regarding gluten allergy, many patients may in fact have nonceliac wheat sensitivity. This is relatively new diagnosis that there is not much information about. These are patients who do not have celiac disease or wheat allergy, but do have problems with eating gluten and/or wheat. Although allergy testing may be negative for these patients, this study shows that patients with nonceliac wheat sensitivity may have some autoimmune issues. There is still a lot to learn about nonceliac wheat sensitivity and as more studies come out we will learn more about it. As always speak to your doctor about any concerns that you have regarding gluten or wheat. The purpose of this brief communication is to highlight emerging evidence to existing guidelines regarding potential benefits of supporting early, rather than delayed, peanut introduction during the period of complementary food introduction in infants. The recent study, entitled “Randomized Trial of Peanut Consumption in Infants at Risk for Peanut Allergy (Learning Early About Peanut – LEAP Trial),” demonstrated a successful 11% – 25% absolute reduction in the risk of developing peanut allergy in high-risk infants (and a relative risk reduction of up to 80%) if peanut was introduced between 4 and 11 months of age. In light of the significance of these findings, this document serves to better inform the decision-making process for healthcare providers regarding such potential benefits of early peanut introduction. More formal guidelines regarding early-life, complementary feeding practices and the risk of allergy development will follow in the next year from NIAID-sponsored Working Group and EAACI, and thus this document should be considered as interim guidance. How Does The LEAP Trial Affect Present Guidance for Early Complementary Feeding Practices? The LEAP data provide Level 1 evidence that the practice of early peanut introduction is safe and effective in selected high-risk infants. This study is the first prospective, randomized trial of early peanut intervention, and informs provider decision-making regarding high-risk infants, including those already with a positive peanut SPT but not yet clinically reactive, to receive the benefits noted in the LEAP study, which may reduce the risk of developing peanut allergy up to 80%. Of note, since children with lesser risk factors for peanut allergy were excluded from enrollment in LEAP, there are no prospective, randomized data investigating the benefit or risk of early peanut introduction in the general to low-risk populations. However, multiple guidelines have not recommended delaying allergen introduction in these populations. On this basis, this communication is limited to helping integrate the findings learned in the LEAP trial to other similar high-risk children in more diverse settings internationally. There is now scientific evidence (Level 1 evidence from a randomized controlled trial) that healthcare providers should recommend introducing peanut-containing products into the diet of “high-risk” infants early on in life (between 4 – 11 months of age) in countries where peanut allergy is prevalent, since delaying the introduction of peanut may be associated with an increased risk of developing peanut allergy. Infants with early-onset atopic disease, such as severe eczema, or egg allergy in the first 4-6 months of life (see Text Box 1 for example LEAP criteria), may benefit from evaluation by an allergist or physician trained in management of allergic diseases in this age group to diagnose any food allergy and assist in implementing these suggestions regarding the appropriateness of early peanut introduction. Evaluation of such patients may consist of performing peanut skin testing and/or in- office observed peanut ingestion, as deemed appropriate following discussion with the family. The clinician may perform an observed peanut challenge for those with evidence of a positive peanut skin test to determine if they are clinically reactive before initiating at-home peanut introduction. Both such strategies were used in the LEAP study protocol. excellent, the study does not address use of alternative doses of peanut protein, minimal length of treatment necessary to induce the tolerogenic effect, or potential risks of premature discontinuation or sporadic feeding of peanut. The LEAP study demonstrates that early peanut introduction can be successfully carried-out in a high-risk population (such as the population defined in the LEAP trial). However, without intervention by healthcare providers, there is the potential that such high-risk infants will remain at risk for delayed introduction of solids and allergenic foods into their diet because of the widespread belief that such foods may exacerbate eczema. Future more extensive guidelines will be forthcoming from the NIAID Working Group and EAACI Guidelines Group with their multidisciplinary stakeholders. These groups will consider all the available data and determine whether there is sufficient evidence to apply prevention strategies to the general population. However, engagement of the primary care, allergy and dermatology communities to rapidly implement these findings and change the culture of early feeding practices is essential, and the forthcoming NIAID Working Group’s and EAACI Guidelines Group’s documents will better clarify a best-practices approach. (EAACI) Antonella Muraro, MD, PhD & Susanne Halken, MD; (ISACI) Yitzhak Katz, MD; (JSA) Motohiro Ebisawa, MD, PhD; (SPD) Lawrence Eichenfield, MD; (WAO) and Hugh Sampson, MD. LEAP Study Team: Gideon Lack, MD, (WAO); George duToit, MD; and Graham Roberts, MD (EAACI); and Tee Bahnson, PhD, (Rho, Inc). Secondary Contributors: (AAAAI) Jonathan Hourihane, MD, Jonathan Spergel & Michael Young, MD; (ACAAI) Amal As’aad, MD; (ASCIA) Katrina Allen, BMedSc MB BS FRACP PhD & Susan Prescott, BMedSc MB BS FRACP PhD; (CSACI) Sandeep Kapur, MD; (JSA) Hirohisa Saito, MD, PhD; (EAACI) Ioana Agache, MD, Cezmi Akdis, MD, PhD, Hasan Arshad, MD, Kirsten Beyer, MD, Anthony Dubois, MD, Philippe Eigenmann, MD, Monserrat Fernandez-Rivas, MD, Kate Grimshaw, Karin Hoffman –Sommergruber, PhD, Arne Host, MD, Susanne Lau MD, Liam Mahoney, MD, Clare Mills, PhD, Nikos Papadopoulos, MD; (ISACI) Nancy Agmon- Levin, MD, and Aharon Kessel , MD; (SPD) Richard Antaya, MD, Beth Drolet, MD; (WAO) Lanny Rosenwasser, MD. 1. Nwaru BI, Hickstein L, Panesar SS, et al. The epidemiology of food allergy in Europe: a systematic review and meta-analysis. Allergy 2014;69:62-75. 2. Osborne NJ, Koplin JJ, Martin PE, Gurrin LC, Lowe AJ, Matheson MC, et al. Prevalence of challenge- proven IgE-mediated food allergy using population-based sampling and predetermined challenge criteria in infants. J Allergy Clin Immunol. 2011;127:668-76. 3. Venter C, Hasan Arshad S, Grundy J, et al. Time trends in the prevalence of peanut allergy: three cohorts of children from the same geographical location in the UK. Allergy 2010;65:103-8. 4. Sicherer SH, Muñoz-Furlong A, Godbold JH, Sampson HA. US prevalence of self-reported peanut, tree nut, and sesame allergy: 11-year follow-up. J Allergy Clin Immunol 2010;125:1322-6. 5. Soller L, Ben-Shoshan M, Harrington DW, Fragapane J, Joseph L, St Pierre Y, et al. Overall prevalence of self-reported food allergy in Canada. J Allergy Clin Immunol. 2012;130:986-8. 6. Amoah AS, Obeng BB, Larbi IA, Versteeg SA, Aryeetey Y, Akkerdaas JH, et al. Peanut-specific IgE antibodies in asymptomatic Ghanaian children possibly caused by carbohydrate determinant cross- reactivity. J Allergy Clin Immunol 2013;132: 639-47. 11. Fleischer DM, Spergel JM, Assa’ad AH, Pongracic JA. Primary prevention of allergic diseases through nutritional interventions; J Allergy Clin immunol Pract 2013; 1: 29-36.
symptoms related to exposure to hen’s egg. • Skin prick test to peanut extract done in the presence of a negative control and a positive histamine control. Of note, in the LEAP trial, the use of IgE measurement to peanut resulted in considerably higher rates of sensitization compared to skin testing, which could lead to numerous unnecessary oral peanut challenges. Whole peanut is not recommended for introduction as this is a choking hazard in children under the age of 4. A recent abstract promoted at the American Thoracic Society meeting on the topic of children with asthma being prone to peanut sensitization. The authors suggest children who do have asthma are more likely to be sensitive to peanuts and therefore kids with asthma should be tested for peanut allergy. This abstract was received with a lot of controversy. If there is no clinical history of peanut allergy in a child that has asthma, no there is no indication to test for peanut allergy, but environmental testing may be helpful. There is no evidence in diagnosing peanut allergy helps treat asthma. Chronic asthma is not a manifestation of peanut allergy or peanut sensitization. 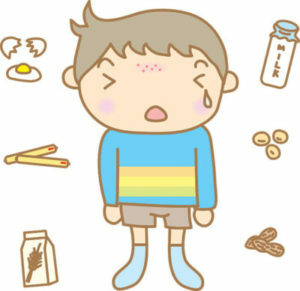 The diagnosis of food allergy results in symptoms of cough, wheezing, hives, swelling, vomiting etc. Without a history of this, food testing is not indicated. These reactions usually occur within 2 hours after ingesting a food, and usually it occurs much sooner. Besides peanuts, the most common food allergies are tree nuts, shellfish, fish, wheat, milk, soy and eggs. Chronic and poorly uncontrolled asthma is not a result of a hidden food (peanut) allergy. There is no reason to do food allergy testing in these patients unless the clinical history indicates it as above. But asthmatic children who have asthma could benefit from inhalant (environmental testing). i.e. pollen, animal dander, dust mites. Food allergy testing from a blood test or a skin test is insufficient to diagnose a food allergy. Many patients on food testing show up positive to a food and there is no clinical history after eating the food in question. Positive food testing results should always be interpreted with a clinical history. If a patient has no history of any allergic reactions after eating a certain food, then allergy testing for that food is not necessary. While children who have food allergy have a higher risk of asthma, and children who have asthma have a higher risk of food allergies, food allergy testing every asthmatic child is not indicated. What is more worthwhile is environmental allergy testing. Many children with asthma are triggered by allergens in the environmental such as trees, grass, weeds, dust mite, molds, dogs and cats. Knowing which inhalant allergens a child is allergic to can help manage asthma. So in conclusion if your child has asthma it is not necessary to do allergy tests for foods (especially peanut), but allergy testing for inhalant allergens is actually more beneficial. Your local allergy doctor or allergist can perform allergy testing in the office for you. The hygiene hypothesis is the most common theory for increased food allergy. It begins with a lack of early childhood exposure to infections. Without proper stimuli the immune system does not receive necessary education. When presented with food proteins, the normal response (tolerance) is replaced by hypersensitivity. 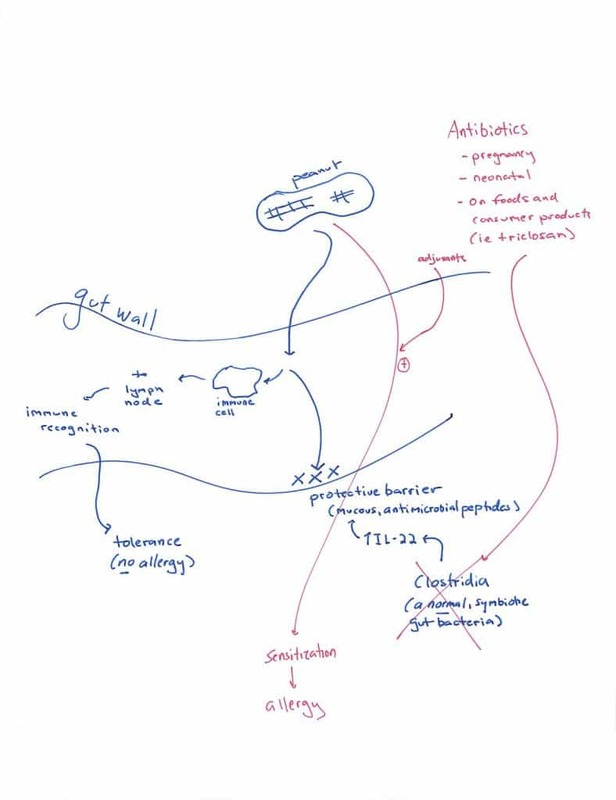 A recent article, in the early edition of Proceedings of the National Academy of Science*, adds further support for a revised hygiene hypothesis, with emphasis on symbiotic microorganisms living in the gastrointestinal tract. The authors identified a common bacteria found in the gut (aka probiotic) that may prevent development of food allergy, specifically peanut. Much research is needed but here is another potential pathway to a cure for peanut allergy. * Commensal bacteria protect against food allergen sensitization; Stefka et al. A new diagnosis of food allergy is life-changing. The questions are endless. I am putting together a new section on the website for parents and patients with food allergy, new and old. I will include links, recipes, diet sheets and school forms. If you have a valuable resource that you would like to share, please let me know. Eosinophilic esophagitis (EoE) is an inflammatory condition affecting the esophagus (the tube that connects the throat with the stomach). The esophagus contains too high a number of eosinophils, an allergic white blood cell. This causes several gastrointestinal symptoms, including difficulty swallowing, nausea,vomiting and reflux. Diagnosis: To confirm the diagnosis requires an upper endoscopy and biopsy. Unfortunately, no less invasive procedures are available to diagnose or monitor EoE. 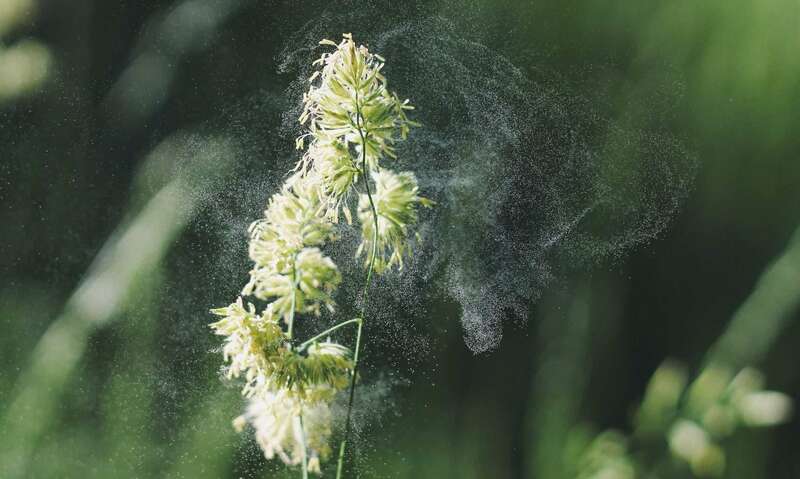 The Role of Allergies: The majority of individuals with EoE have family histories of allergies and symptoms of one or more allergic disorders such as asthma, nasal allergies, atopic dermatitis or food allergy. Food allergy is a major cause of EoE in children, and a less probable factor in adult EoE. Environmental allergies such as dust mites, animals, pollens and molds may also play a role. – Diet. Avoidance of common allergens (milk, egg, soy, wheat, nuts and fish) may eliminate the symptoms and underlying inflammation of EoE. Atopy patch testing may help to guide food choices. – Medications. Steroids are effective at shutting down inflammation and eosinophil production. Local delivery helps to lessen side effects. This is achieved by swallowing those steroids indicated for asthma (either a fluticasone inhaler or budesonide for the nebulizer machine). The initial diagnosis of EoE can be overwhelming. Working closely with your healthcare team is the best way to assure you are receiving proper care. Additionally, families often benefit from participation in support groups, such as the American Partnership for Eosinophilic Disorders (APFED) at www.apfed.org.